Reading is an intensely personal experience. A book has the potential to inspire drastically different opinions in its readers. It may come as a surprise but I am, in fact, no expert. Still, I like a challenge. I am therefore about to offer you four summer reading recommendations – chosen for a variety of reasons and purposefully eclectic in the hope that there is something for everyone. I would ask, however, that you keep my above three points in mind. Because all opinions are the product of perspective – and life is just too short to read books that you do not enjoy. Please feel free to add any of your own recommendations by commenting on this post. I would love to hear your views! Out of all of the novels I have worked through since creating The Book Habit, this is one of my favourites. For the full review, you can see my post. This is a beautifully constructed novel and an utter page-turner. If you are looking for a book that offers you mystery at a perfectly executed thriller-like pace, a fabulous European setting, and characters of tangible vivacity and personality, this is absolutely the book for you. I have always loved good travel writing. This has nothing, I am sure, to do with my meeting Michael Palin at a signing of Himalaya and getting to lean on his shoulder for a photo (I am also quite certain that I was the only person at the signing who was there because of the book, rather than for a Monty Python love-in). 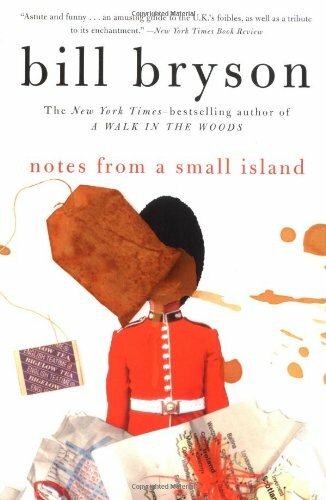 I first read Bill Bryson’s Notes from a Small Island after I moved to the US. In an effort to cure myself of some intense homesickness (and reflecting my tendency for inadvisable attempts at reverse-psychology), I decided to surround myself with all things British. With a Dad who gets genuinely mistaken for the voice of America’s Geico Gecko, the task was not difficult. And this book represented something akin to UK overload. For those of you unfamiliar with Bill Bryson, he is an American writer who moved to the UK. He wrote Notes from a Small Island to detail his ‘farewell tour’ of Britain, having decided to return to the US with his English wife and children. For the non-Brits among you, it is important that you understand one fundamental aspect of British character before reading this book – we have a penchant for self-deprecation and find our odd ways genuinely hilarious. For reference purposes, see the following video – my favourite bit of comedy ever, from the fabulous Michael McIntyre. For an outsider to pick out those characteristics that make us Brits beyond unique, and to do so with the level of observation and understanding that Bryson achieves, is a special thing. And, I think, demonstrable of the skills needed for the best kind of travel writing. If you are looking for a book about the UK that offers a comprehensive and utterly personal review of Britain’s highlights (as well as an opportunity to laugh out loud repeatedly), look no further. If you read my review of Suite Francaise by Irene Nemirovsky, you will remember that I have a great love for literature set during the First and Second World Wars. A product of my family’s extensive and fantastically well-documented experience of both events, I welcome any book that offers new perspective on an aspect of these turbulent moments in history. 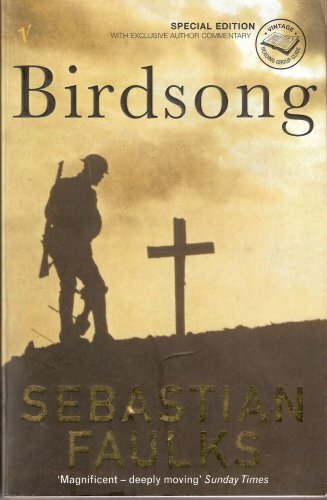 Birdsong is quite simply the most compelling fictional account of World War I that I have read to date. It is not an easy read and, indeed, the subject alone ensures that you will leave this book feeling emotionally and physically drained. 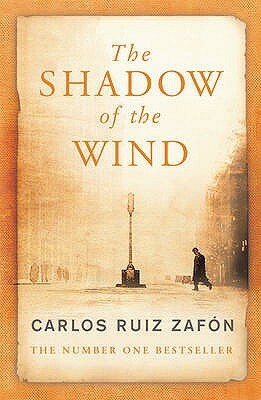 But it is truly wonderful, and a testament to the power of literature in serving the purposes of memory and truth. It is entirely likely that this is a book I will come to review at some point. Reversing my almost absolute adherence to the ‘book before film/TV adaptation’ rule, I was actually introduced to this novel through the BBC dramatisation featuring Gemma Arterton. Like many other lovers of the classics, I hold a place in my heart for the Austenian take on Victorian life (Jane Austen did, after all, provide us with the wonder that is Colin Firth as Mr. Darcy). But Austen’s works are undoubtedly a reflection of the life experienced by a minority of the British population. Tess of the d’Urbervilles tells another story entirely – one of rural existence and the consequences of poverty. 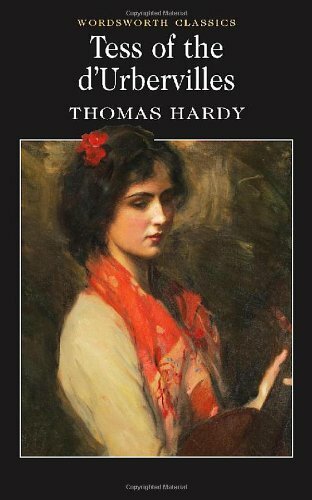 Thomas Hardy is one of the most masterful of the classic authors, painting settings and characters that enter the imagination with utter ease. Hardy’s skill at personalisation, ensuring that the reader becomes completely invested in the misfortunes and struggles that Tess is forced to endure, is what makes this novel simultaneously magnificent and tremendously painful. This is an absolute must-read for any lover of classic literature. So those are my four picks. Although if you are in the UK and awaiting summer in order to read them, you could be waiting a while. If summer does not grace us with its presence, be assured that I will follow-up with a ‘Rainy Day Recommendations’ post (for which Harry Potter will certainly feature as number one choice).